This is the first paragraph of a photocopied article tucked into the pocket of a sleek black folder. 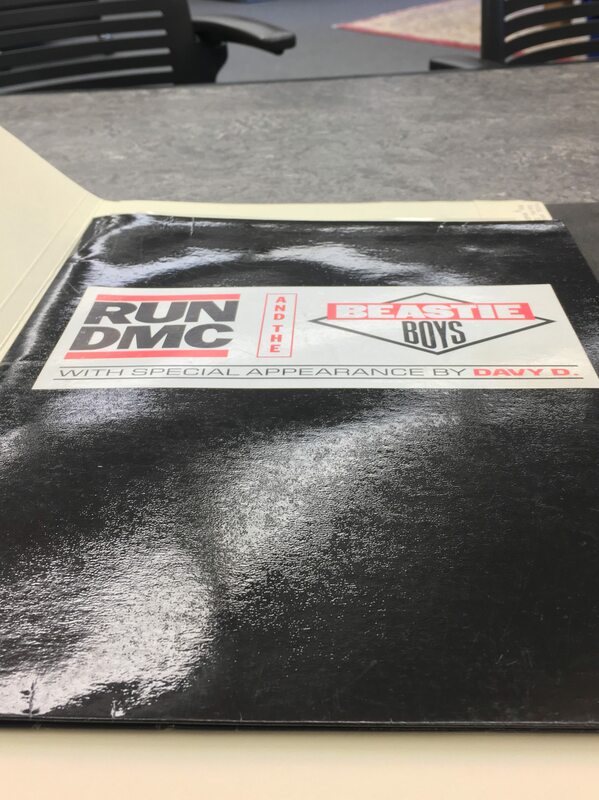 The front of the folder has a large white sticker with the logos of the rap groups Run DMC and The Beastie Boys designed in black and red and notes a special appearance by rapper Davy D. This is the press packet for Def Jam’s 1987 Together Forever tour which began in Honolulu on June 13th, 1987 and ended in Philadelphia on August 16th of the same year. When opening the folder the first thing seen are the promotional photos for the tour crediting Laura Levine as a pair of negatives from the shoot. Both photos, there’s a mean mugged cold stare version as well as a goofy face take, give off the impression of a family. An unconventional one definitely—four black rappers similarly wearing hip black hats and thick gold chains and the three white rappers each in their own different style— a family nonetheless. This folder wound up in the Fales Library through the Peter Dougherty collection. Dougherty was the creator of the show Yo! MTV Raps which influenced the development of the channel’s early days. His files can chronicled the rise and fall of musicians from the late eighties to the early naughts through collected promotional material, photographs, advertisements, and tour information like the cultural artifact presented here. This artifact preserves a crucial tipping point in the trajectory of Hip-Hop’s success and proliferation. Many historians argue as to when Hip-Hop went pop, or became commercial, but the photos in this folder captures a moment pregnant with the joy and anxieties of these artists embarking on a tour that would change the shape of the genre they pioneered. Hip-Hop was born in Queens but it became a business in Manhattan. Russell Simmons and Rick Rubin founded Def Jam Recordings in 1983.The slick businessman from Hollis, Queens and the long scruffy haired record-bin diver from Manhattan joined forces to bring Hip-Hop’s biggest stars to the stage. The first single released with the Def Jam Recordings logo was T La Rock & Jazzy Jay’s “It’s Yours.” The first releases with Def Jam Recordings catalog numbers were LL Cool J’s “I Need a Beat” and the Beastie Boys’ “Rock Hard,” both in 1984. True to the hustle of Hip-Hop these jams were recorded in and distributed from Rubin’s NYU dorm Weinstein. While Simmons is credited as the business brain behind the record label’s success it was Rubin’s production that helped bring the best out of their artists (Def Jam). 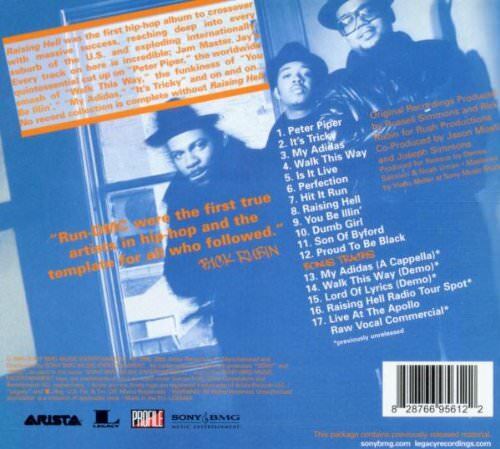 It was Rubin that produced Raising Hell in 1986 for Run DMC which is looked at as their most successful album. The lead single from that album, “Walk This Way” was originally intended to just sample the Aerosmith hit of the same name but Rubin insisted on a complete cover and even brought Steven Tyler and Joe Perry in on the track. 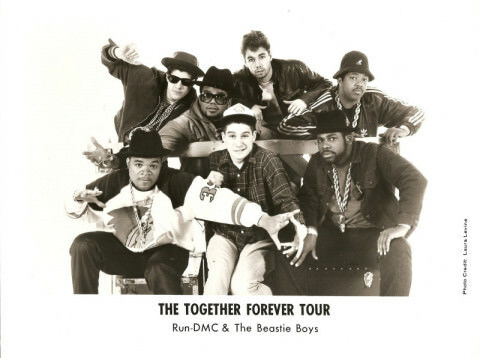 The song and video became one of the biggest hits of the 1980s, reaching number four on the Hot 100, and cemented Run-DMC’s crossover status. The popularity of this single brought Run-DMC to a global audience and their second single from the album “My Adidas” told the story of how they’ve traveled the globe rocking their famously favorite sneaker. This cemented a crucial relationship with the shoe brand and Hip-Hop culture as well as popularizing the rap group’s signature style (Run-DMC). Rubin would also produce the Beastie Boy’s debut album License to Ill the following year before they embarked on this Together Forever Tour. 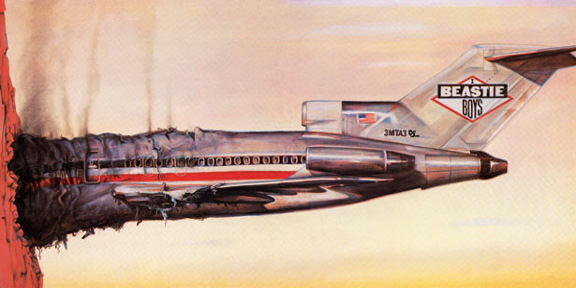 It’s important to note that this was the first Hip-Hop album to chart number 1 on the Billboard 100 and one of the few to go diamond marking a transformation of the genre to a new form of pop music (Beastie Boys). Preserved in this press packet is a recipe for planned chaos, a disaster in the mind of adults that popularized the rebellious spirit of the two groups. The security persuasions, extensive tour date details, and press that praised the numbers these groups put up was all Simmons doings but the pictures included up front, they capture something so organic that nobody could have orchestrated. They show a true Hip-Hop family, a group of desperate background connected by their flow on the beat and a desire to rock the party out. The Together Forever Tour introduced Rap to the world in a whole new way and after these two groups took the stage nothing was the same. AP. “42 ARE HURT AS GANG FIGHTING BREAKS UP CALIFORNIA CONCERT.” The New York Times, The New York Times, 19 Aug. 1986, www.nytimes.com/1986/08/19/us/42-are-hurt-as-gang-fighting-breaks-up-california-concert.html. “Beastie Boys.” Wikipedia, Wikimedia Foundation, 2 Apr. 2018, en.wikipedia.org/wiki/Beastie_Boys. “Def Jam Recordings.” Wikipedia, Wikimedia Foundation, 2 Apr. 2018, en.wikipedia.org/wiki/Def_Jam_Recordings. Hogan, Mike. “Run-D.M.C. 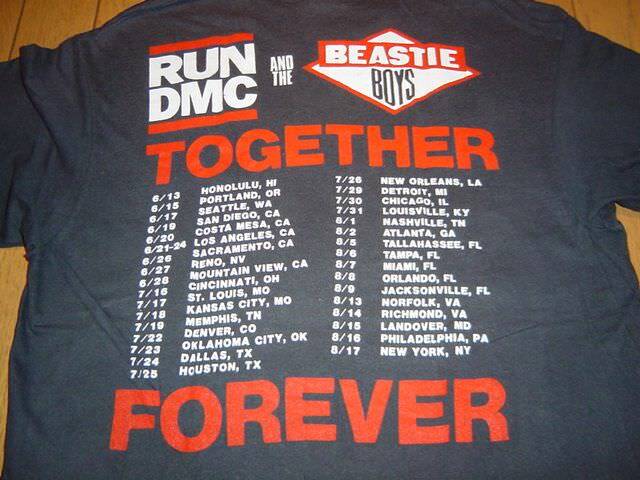 Member’s Awesome MCA Memory.” The Huffington Post, TheHuffingtonPost.com, 9 May 2012, www.huffingtonpost.com/2012/05/09/run-dmc-beastie-boys_n_1503064.html. Holden, Stephen. “THE POP LIFE; TWO RAP GROUPS PLAN EXTENSIVE SUMMER TOUR.” The New York Times, The New York Times, 20 May 1987, www.nytimes.com/1987/05/20/arts/the-pop-life-two-rap-groups-plan-extensive-summer-tour.html. “Run-DMC.” Wikipedia, Wikimedia Foundation, 2 Apr. 2018, en.wikipedia.org/wiki/Run-DMC.